This cosy apartment is situated in a family house in the quiet area of Bled just 10 minutes walk from the lake. It features two bedrooms, a fully equipped kitchen with dining and living area in one space, two bathrooms and a balcony with garden furniture. There is also a play area for children in the garden, with a swing and a slide. 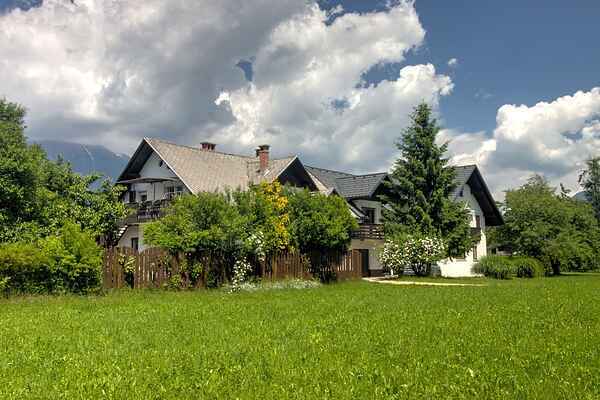 The property is surrounded by meadows and is ideal for peaceful holidays with long walks or bicycle riding. Bled, together with its surroundings, is one of the most beautiful alpine resorts. It is known for its mild, healing climate and thermal lake water and is one of the most unforgettable places for spending your holidays.